A ratchet type tool for crimping RJ45 type connectors. Two die sets are available; one is for Cat5E type plugs, the other suits Cat5E, Cat6 and Cat6E plugs. 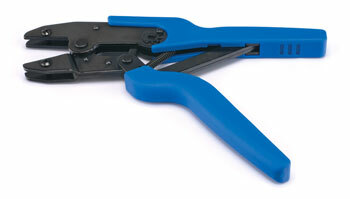 The tool is supplied without die sets, which should be ordered separately as required. 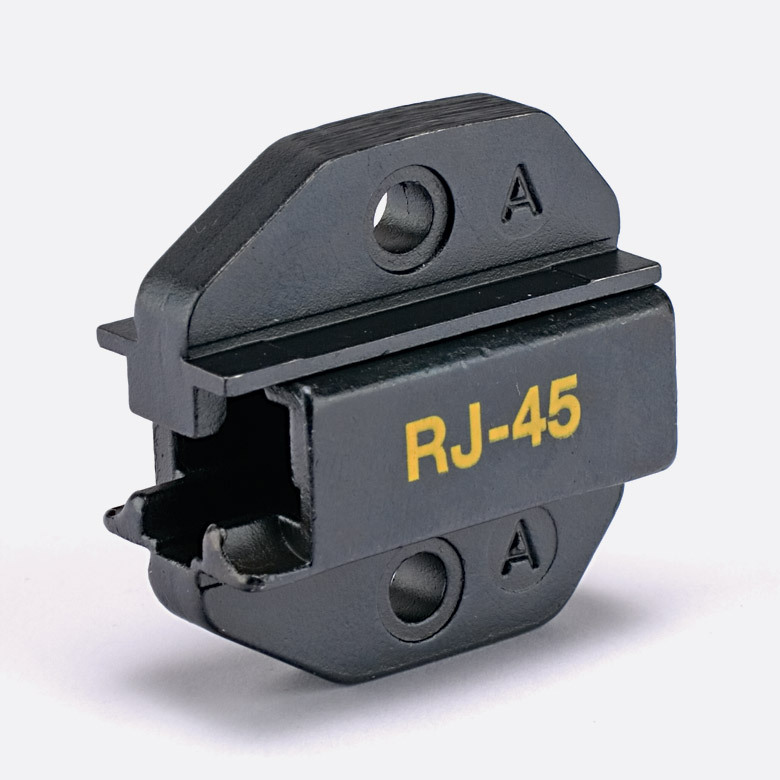 Although optimised for use with TUK connectors, these crimp die-set jaws may also be suitable for other manufacturers' connectors.